How janam Kundali WORKS? And All About Kundli Houses (1 to 12). Janam kundali is a very famous term used in India which signifies one’s birth chart which tells about the planetary positions & stars according to the birth date and birth time of the native. Details of Janam Kundali are interpreted by an experienced and renowned Vedic Indian astrologer to predict the future of different aspects of life including nature, behavior, career, money, love, health, family, etc. It is basically the prediction of a person’s life. This Astrological chart is the main thing that any newborn baby is gifted with. 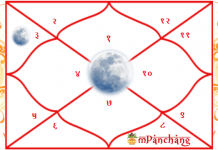 In Hinduism, it is necessary for everybody to have a Kundli or a birth graph. Based on this Kundli, we can easily figure out what a child’s future is going to be like. 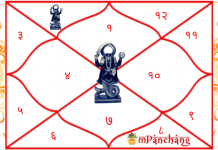 Janam Kundali is an astrological chart that is built on the basis of the exact Birthdate, birthplace and birth time. The birth chart tells the location of various signs, planets, the Sun and the Moon. It reveals the astrological aspects and significant aspects of a newborn baby. How does Janam Kundali work? 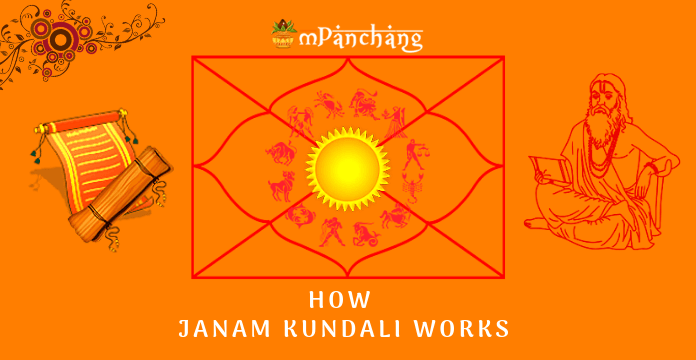 The Janam Kundli Chart is distributed into 12 houses including different signs and planets. On the chart, 1st house begins with the Ascendant and rest all houses are numbered the anticlockwise way. These houses tell you the position and astrological aspect of an individual. Each house in the Kundali Making speaks to a different prospect of life, for example, Career, Relationship, Money and others. Aside from this, the planets continue traveling in various signs over the day, month and year relying on the position of the planet. These planets exhibit different occasions and possible outcomes. By taking a look at the Janam Kundli, an Astrologer can predict the fate of a native relying on the planetary view. When we talk about predicting the future, the most important source can be Janam Kundali. Together there are 12 sections seen in Janam Kundali that are called as houses. This house is also known as tanu Bhava and it represents character, peace, wisdom, happiness and strength. It is also called as Dhan Bhava which represents wealth. It only works on money-related situations. The flow of money or loss or financial damage is something that can be known here. This is the place of siblings which is also called as Sahai Bhava that helps in maintaining balance and relationship with the family. This part of house is known as Bandhu Bhava which works on factors like property, mother and household environment. Known as Putra Bhava, this house predicts all factors that are related with children and are related to kids and intellectual status. It is altogether connected with enemy troubles and is known as Ari Bhava which is the complete representation of servants, enemies and health. This house is known to predict your relations with your spouse. It is also called as Yuvati Bhava. This house is called Randhr Bhava which speaks about the prediction of death, illnesses, defeat and embarrassment. This is a segment of Dharma Bhava, an indication of inclination, advanced education, and past karmas are noted down and prediction of the same is done. This house is called Karma Bhava which is related to career, financial status, and education to name a few. Other than this, Labh Bhava and Vyaya Bhava are identified with imprisonment, satisfaction and desires. If you are totally new about it and you don’t have any thought on the best way to read such kind of Kundali then you are suggested to look for a professional astrologer who holds a long time of experience in this field. 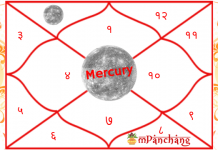 There are various Astrology websites such as mPanchang which can provide you with Free Janam Kundli Reading Analysis along with elaborate explanations by experienced astrologers. Get your Kundli Report now!